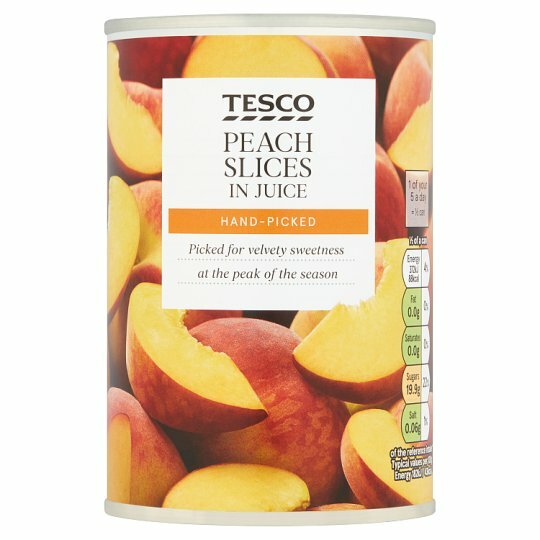 Peach slices in grape juice. Store in a cool dry place. Once opened transfer unused contents into a non metallic container, cover and refrigerate. Consume within two days. Warning: Although every care has been taken to remove peach stones, some may remain.